Guinness Beef Stew is a favorite Irish beef stew recipe in our house. We make this slow cooker beef stew for St. Patrick’s Day every year, and we just can’t get enough! It’s the best Guinness stew and so easy to make! Guinness Beef Stew is always a favorite on St. Patrick’s Day. This slow cooker beef stew recipe is so simple and so tasty. The perfect Irish Beef Stew! Every St. Patrick’s Day, we celebrate with lots of drinks and plenty of good food. 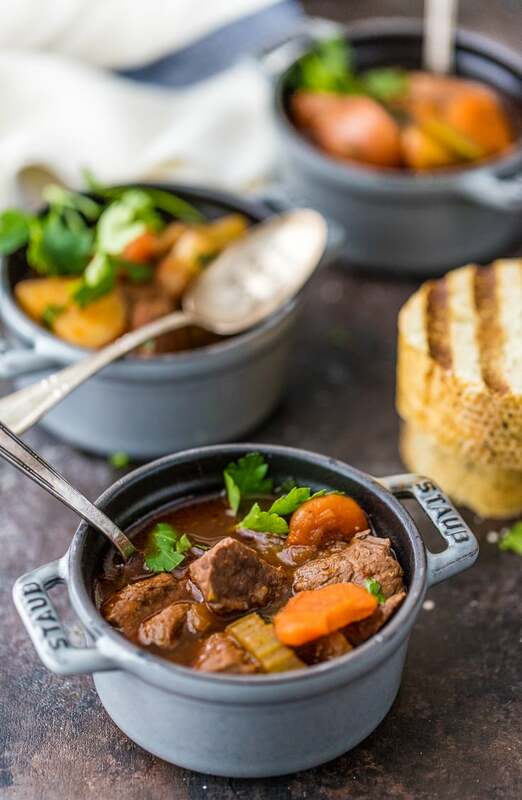 This Guinness Stew is a favorite because it’s hearty, tasty, and easy! I mean, what could be easier than a slow cooker beef stew? 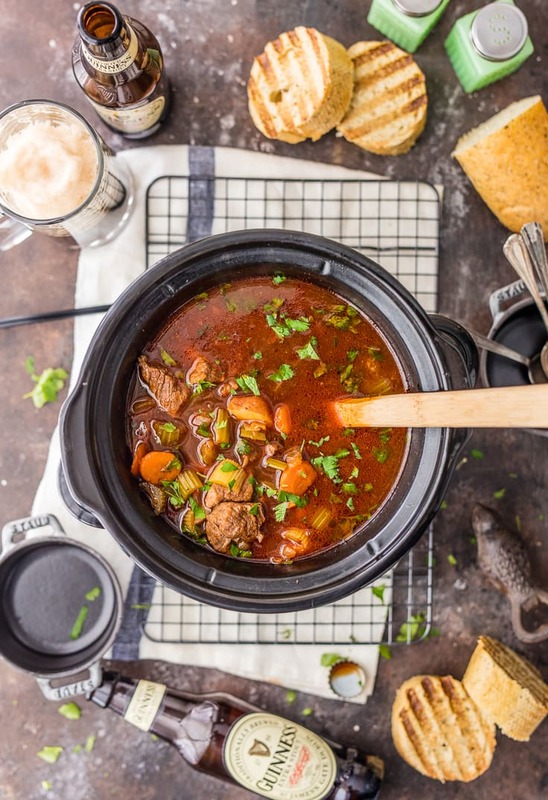 A delicious Irish Stew in a slow cooker, nothing can beat that! 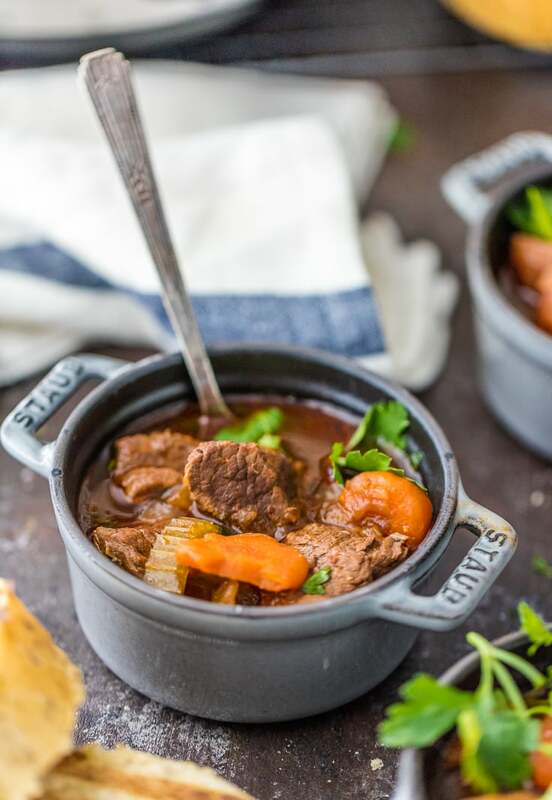 Guinness Beef Stew is the perfect meal for St. Patrick’s Day or any cold evening. Everyone will love this slow cooker Irish Stew! 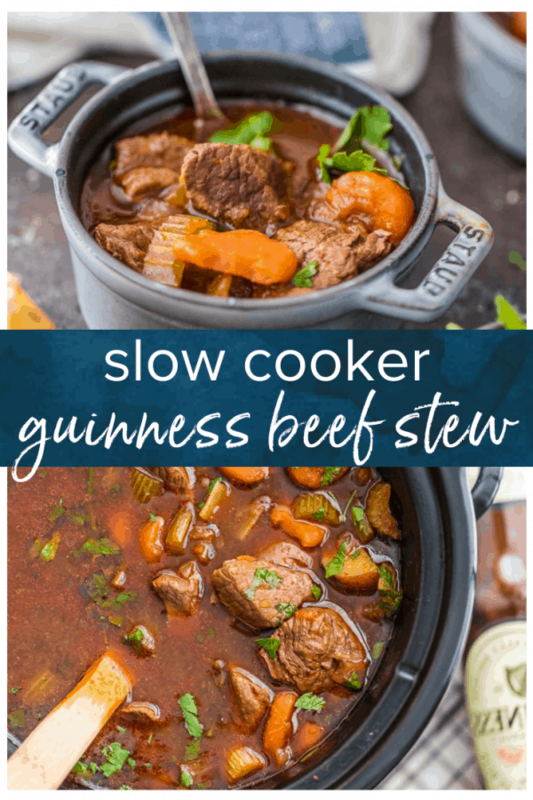 I just love the flavor the Guinness adds to this slow cooker beef stew recipe. 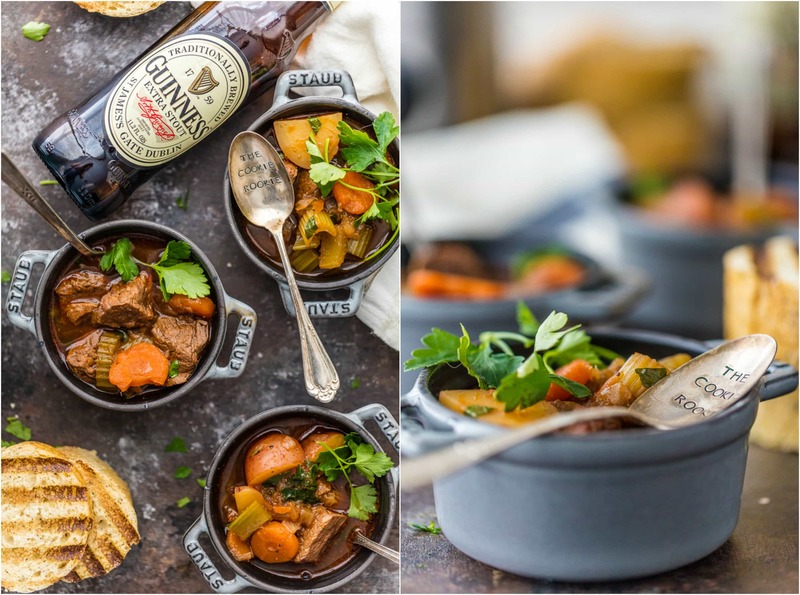 Pat’s not a big beer guy, but he LOVES Guinness, so this Guinness Beef Stew is right up his alley! 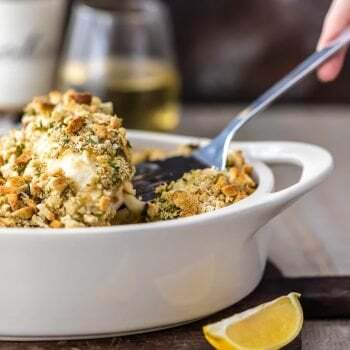 Hearty, easy, delicious; all the best things! Doesn’t it make you want to gather around a table and enjoy some food with your loved ones? The best part is this Irish Beef Stew has very little prep or cleanup. Have fun with your family instead of slaving away in the kitchen! I’m ALL about slow cooker soups and stews. They are one of my very favorite things to make and I cannot get enough! 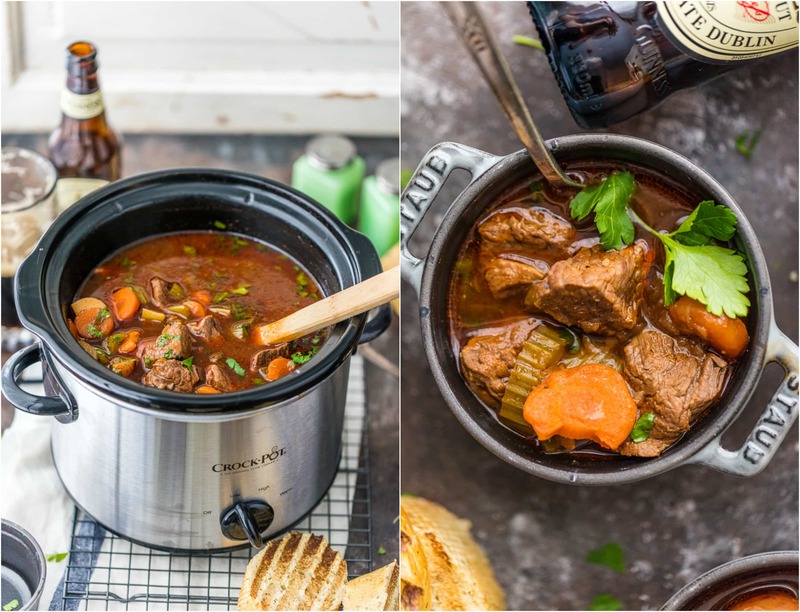 The crockpot is made for comfort food, and this Slow Cooker Guinness Beef Stew is SERIOUS comfort food. This slow cooker cooker beef stew with onion soup mix, beef, carrots, potatoes and more is filled with flavor. It always warms me right up and makes me feel like I’m wrapped in a warm blanket. I just love the ingredients in this, and I LOVE that you can just set it and let it cook. What’s in Irish Beef Stew? Making slow cooker beef stew is simple, because you can basically just throw everything into a crockpot and let it cook without worry! There are a few more steps to it than that, but that’s the basic process. Place the potatoes, carrots, and celery into the bottom of your slow cooker and turn it to low heat. Then pour the Guinness and beef broth on top, and add in the garlic powder, onion soup mix, basil, and salt and pepper. Stir everything together. Now season the beef cubes with salt and pepper, then coat them in flour. Heat oil in a skillet and cook the beef. Add in the onions and cook it all for about 5 minutes, so that the onions are translucent and the beef is browned. Add the beef and onions into the slow cooker with the rest of the ingredients. Stir in the tomato sauce. Cover the slow cooker and cook on low for 8 hours (recommended), or high for 4 hours. Easy as that! I like to serve this Guinness Beef Stew in large portions with hearty bread and more beer. Because that’s how it’s meant to be done! What is the difference between Irish Stew and Beef Stew? Irish Stew is essentially any stew made with a mixture of meat and root vegetables, a popular native dish in Ireland. Traditional Irish Stew is made with mutton, but it’s often made with other types of meat. So this slow cooker beef stew is just another version since it’s made with beef, carrots, and potatoes (also known as Irish Beef Stew). Do you have to cook the beef before you put it in the slow cooker? For this Guinness Beef Stew recipe, you should brown the meat before adding it into the slow cooker. You will season the beef, cover it in flour, and then cook it in a skillet along with the onions. This is a good way to prepare it for slow cooking to hold flavor, plus the flour will help make a thicker stew. That being said, it is not always necessary to cook meat before adding it to the slow cooker, but it’s definitely recommended! Like I said, this Guinness Stew is true COMFORT FOOD! Beef, carrots, potatoes, BEER. Gimme! So many good flavors coming together in a meal that will warm the soul and make you think of my favorite holiday, St. Patrick’s Day! Be sure to wear green while eating this Irish Stew! 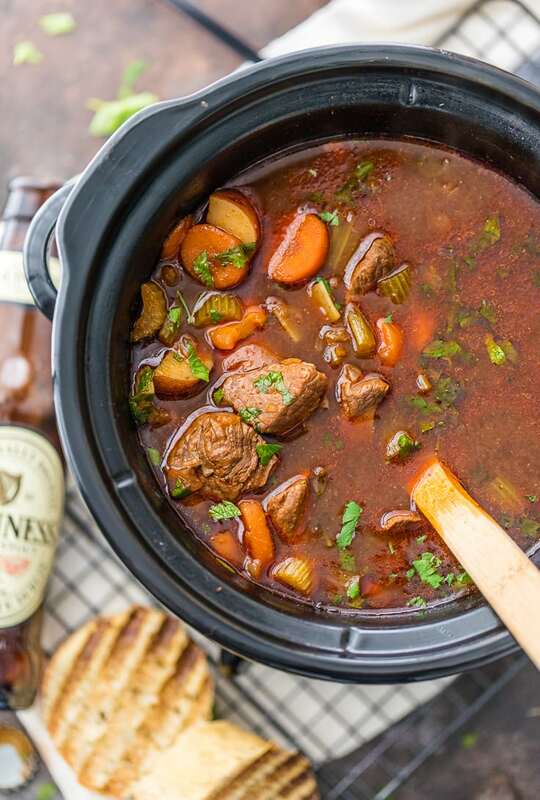 See the recipe card for details on how to make Irish Guinness Beef Stew in a Slow Cooker. Enjoy! Guinness Beef Stew is a favorite Irish beef stew recipe in our house. We make this slow cooker beef stew for St. Patrick's Day every year, and we just can't get enough! 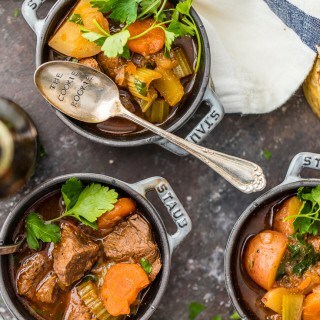 It's the best Guinness stew and so easy to make! I’m with Pat… not a beer gal, but Guinness in foods?! HELL YES! It adds so much flavor. This stew, though… girl, it’s gotta happen! Guinness always reminds me of a dear friend and she was the first one that got me to try it. It’s a very intense flavor and so wonderful to cook with. 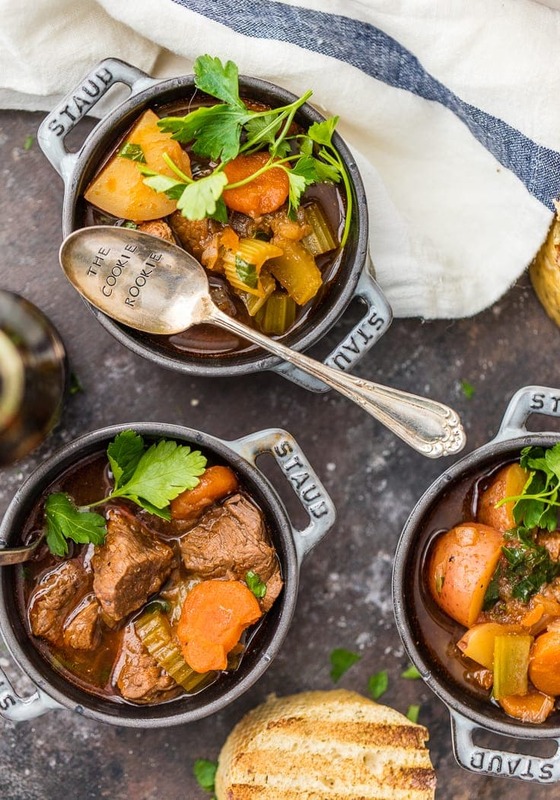 I have to make this lovely stew this weekend and invite her over to try it!! I love memories like that, how sweet! Thanks so much Lora! 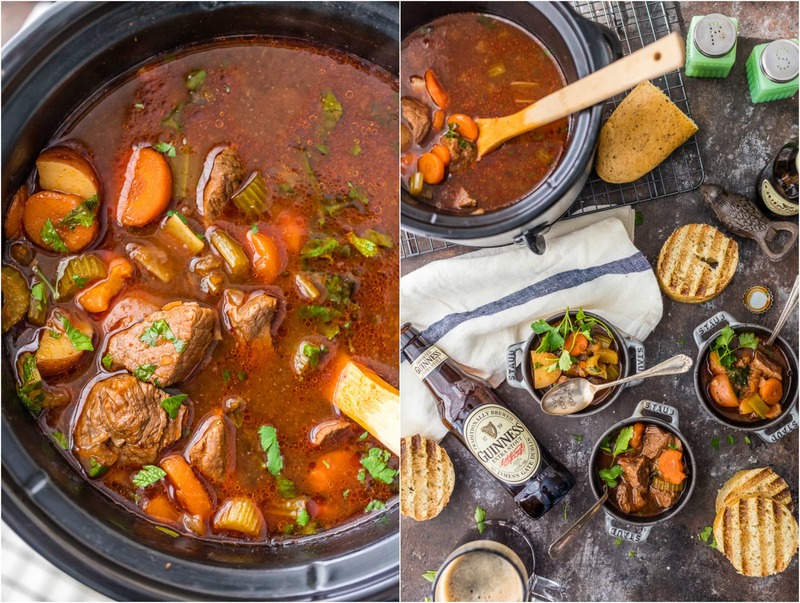 I never thought I’d like stew, but that was before you brewed it in beer and shared these pretty pics! I’m going to give it another try in the name of Patty’s Day! 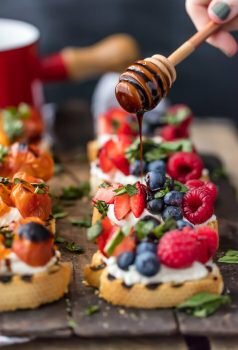 Wow, this looks fabulous! I love this sort of stew, but I rarely use my slow cooker (don’t know why). I think I need to break it out! Very nice! I don’t use mine nearly enough either. Every time I do I’m obsessed! I love beef and guiness stew but much prefer it cooked with all fresh ingredients. The photos look amazing . Thank you so much Norma! One of my all-time faves, I became addicted to this stuff during the seven years I lived in Great Britain. I’ve never tried a slow-cooker version and it’s a great idea, it looks fabulous! Thanks Kimberly! Wow how awesome that you lived overseas! This stew looks PERFECT!!! My family (husband in particular) would love it! What a delicious looking meal. I love using Guinness in recipes, it gives such a great flavor! Yes! Such an easy way to add flavor. Thanks Joanie! Should I completely cook the meat or just brown on all sides and until there is no more pink?